Make a lasting impression with a beautiful smile. Veneers can help you achieve the picture-perfect smile you’ve always wanted without a complex procedure and downtime. 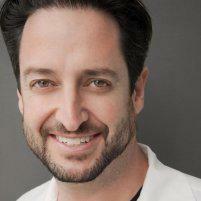 Dr. Jason Mirabile offers custom veneers at his practice iHateTheDentist.com in Santa Monica, California, to restore and enhance your smile. Find out if veneers are right for you by contacting the office, or schedule your appointment online today. Veneers are the perfect solution for anyone who is self-conscious about their smile because of gaps, chips, spaces, discoloration, or other minor flaws. When replacing a tooth or getting extensive restoration work isn’t an option, veneers can improve the appearance of existing teeth with a very thin, custom-made overlay that masks those flaws. Veneers are an attractive option for many patients because they don’t require surgery or extensive procedures. They’re made with a highly-durable material and never stain. They’re also custom-made to fit your teeth, and they produce a very natural-looking result. Your veneers can last up to a decade or more with proper care. The placement of veneers is a very quick and simple process and you’ll see results immediately. Veneers are made with a thin, porcelain-like material bonded to the front of the tooth to cover up any flaws. The shape and texture of the veneer mimic your existing teeth so they’re virtually undetectable. Veneers are customized to fit your tooth’s shape, so they look and feel just like your real teeth. In some cases, veneers can even strengthen the teeth. You might be a good candidate for veneers if you don’t have any symptoms of gum disease and want to correct some minor flaws in your smile. Many patients find they don’t have to get braces or undergo extensive tooth restoration procedures because veneers help them achieve the results they want. Veneers are an investment and help you maintain a beautiful smile for many years to come. They’re considered to be a cosmetic procedure, so most insurance providers don’t cover treatment. However, iHateTheDentist.com provides several convenient financing options so you can get your veneers sooner rather than later. If you think you might be a good candidate for veneers, contact iHateTheDentist.com or schedule your consultation with Dr. Mirabile using the online booking tool.